Piyyut is the art of Hebrew or Aramaic poetry composed either in place of or as adornments to Jewish statutory prayers. Laura S. Lieber uses the piyyutim of a single poet, Yannai (ca. sixth century C.E. ), to introduce readers to this important but largely unfamiliar body of writings. Lieber presents the Hebrew texts of Yannai’s 31 extant piyyutim which embellish the Book of Genesis. She translates, annotates, and analyzes these complex poems, which display the poet’s transformative treatments of some of the most familiar biblical narratives. 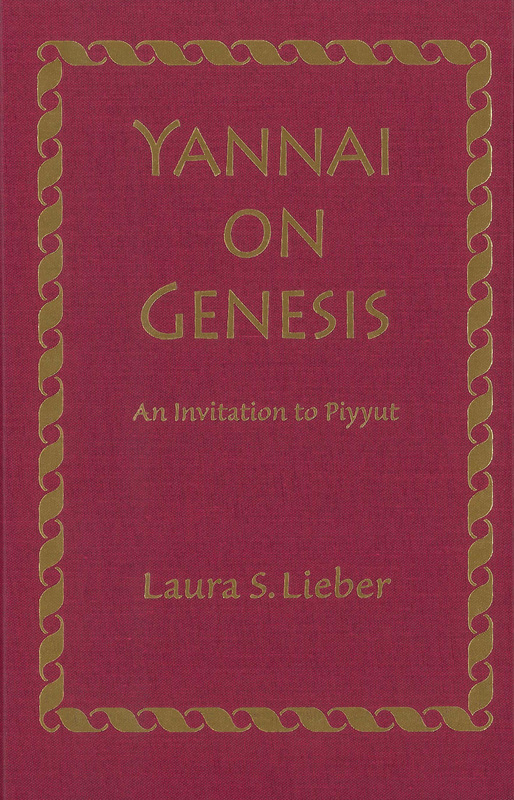 She contextualizes these poems and teaches readers how to read and appreciate piyyut by studying Yannai’s poetic language and the formal structures of the poems; his exegetical, cultural, and societal importance; and intriguing motifs in Yannai’s worldview such as mysticism, holiness, Jewish-Christian relations, and the role of women. Lieber’s groundbreaking study is an invitation to those with interests in areas such as liturgical studies, rabbinic literature and targum studies, the early synagogue and its art, Byzantine Christian culture and society, and the history of biblical interpretation to engage with these beautiful and neglected texts and include them in larger intellectual conversations. Laura Lieber received her rabbinic ordination from Hebrew Union College-Jewish Institute of Religion in 1999 and her Ph.D. in History of Judaism from the University of Chicago in 2003. She is currently Assistant Professor of Late Ancient Judaism at Duke University.